Once in a while an opportunity for a logo design comes along in which you are blessed with a trusting group of people who allow you the freedom to design and art direct the project. 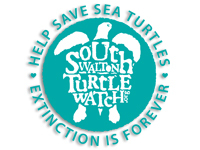 The dedicated volunteers at the South Walton Turtle Watch group were these trusting people, which I thank, especially my friend Richard who is devoted to protecting turtles. I was fortunate to witness some baby turtle releases; rescued baby turtles released at night under the protective watch of the SWTW volunteers. Seeing the husky baby turtles race to the gulf waters in the moonlight, to begin their journey, is magical and inspiring. My passion is helping an individual or group make the best impression possible, so that they may get your attention to state their case. And I’m grateful to donate to this very worthy cause. 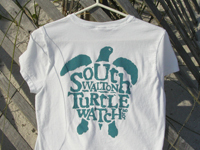 Please give them your support at www.southwaltonturtlewatch.org.